GALLERY: Crescent Moon, Drifting, & Antares (October 31, 2014): These photos submitted by two readers tell a story of the past week. 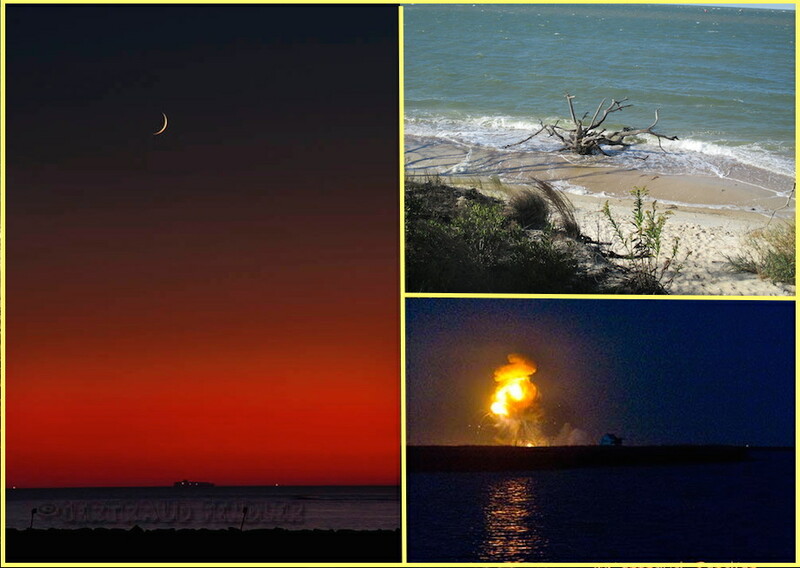 From left, Gertraud Fendler captured a sliver of a moon over Cape Charles. Meanwhile, last Sunday’s gale-force winds washed up a large piece of driftwood just south of Bayshore Concrete, photographed by Joseph Corcoran. And lastly, the event that will long be remembered — Ms. Fendler recorded the spectacular explosion of the Antares rocket at Wallops Island. Fantastic! Thanks to all for sharing!